Update: This Stove Top Creamy Mac and Cheese was originally shared in 2009. 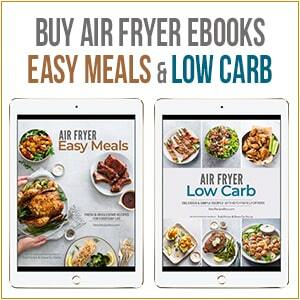 It now has new step-by-step photos, video and updated technique to satisfy all our hungry readers. Also, try this “healthier” version of Broccoli Mac and Cheese. It’s another reader favorite. I’m calling for a mac and cheese recipe revolution. For those sweltering Summer days when cranking up the oven means turning our kitchen into a sauna, or for those times when I don’t want to be a dishwasher, but still want to have a satisfying home cooked meal, I need a meal that can be cooked fairly quickly and efficiently. Enter the solution and what I call, my mac and cheese revolution: the One Pot, Stove Top, Creamy Macaroni and Cheese recipe. It’s simple, clear, and considerate of everything we need in order to still eat well and prepare quickly, without compromising on quality and taste. – One Pot – Yes, you read it correctly. All the raw macaroni is cooked in one pot, without a pre-boil step that most other stove top recipes require. There is no extra pot to pre-boil or wash. One pot means less dishes! – Stove Stop- Stove top means NO oven. During our hot summer days, that last thing that I want is to turn on my oven and sweat even more just for a bowl of mac and cheese. 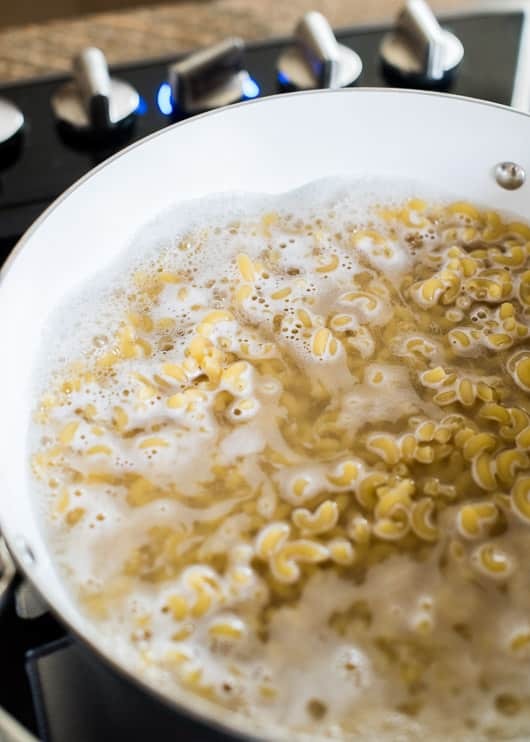 The stove top method is a wonderful way of cooking the macaroni pasta, quickly and to your desired texture. I can control exactly how soft or al dente I want my macaroni to be. 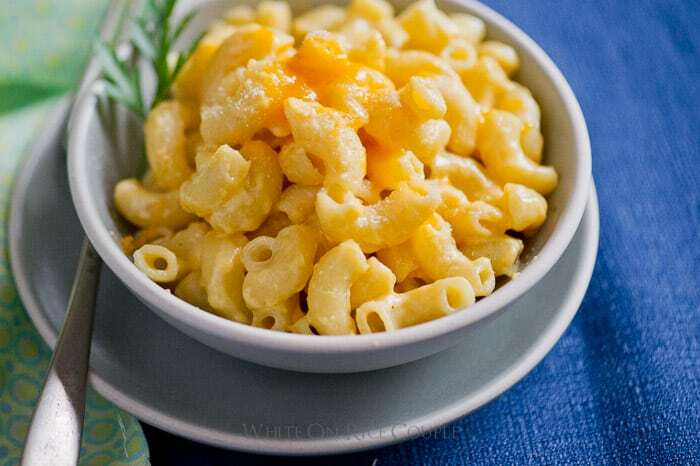 – Creamy – This mac and cheese recipe is slowly cooked in water, then milk and a little butter. The cheese is added in the end and it’s so creamy and amazing. – Flavor blasts with creative cheeses- Now that I’ve figured out how to cook it easily and still maintain great texture, now comes the best part—-great flavor! 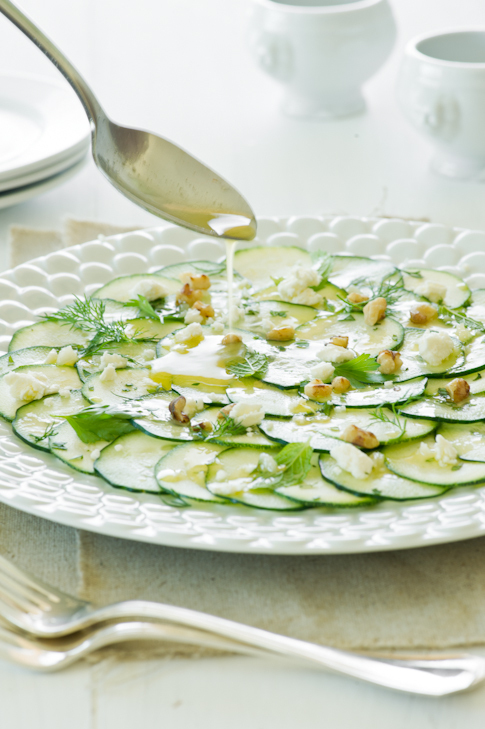 Have fun with this recipe and experiment with flavorful, cheeses that melt well. My favorite is using parmesan and asiago cheese because I can use less cheese and still have bold flavor. Every single bite is delicious. I’m still a huge fan of oven baked mac and cheese because the warm, comforting, casserole bake can’t be compromised. The cheesy crusts are a show stopper too. But when I’m starving and the weather is scorching hot, the last thing I want to do is to blast that oven to 350 degrees. Toasted bread crumbs: I love toasted bread crumbs and it’s so easy to make. Just break up some old bread, heat it up on a skillet. Continue stirring until crumbs start to brown and become fragrant. Remove from heat and top off your macaroni and cheese! **Update- Sept. 14, 2015: After intense re-testing, we've updated the recipe to boil the pasta in some water first, which will reduce the gummy/sticky results that some readers are getting. Then the milk is added afterwards to finish boiling/cooking and the results are even better! The input and advice from reader comments are extremely valuable. Technique is very vital to making this recipe a success, as well as the type of ingredients, milk, cheese & macaroni that you use. The key to keeping this recipe creamy is to make sure the flame is low and to consistently stir the pot. We use the smaller size of mac elbows and they need to be cooked slowly in the water, then the milk. Medium to High heat will cause the milk to burn. Don't leave the pot unattended. Obviously with the stove top, there won't be that cheesy crust that forms on top. But toppings of toasted bread crumbs or bacon should be a nice exchange. **if more milk is needed , additional 1/4 cup milk at a time for final cooking. **Macaroni pasta varies so much! have additional milk on hand, or be ready to increase the heat if your macaroni doesn't absorb fast enough. Place raw elbow macaroni in colander and quickly rinse under water. Let drain. In medium sauce pot (about 3.5 qt), add water and raw elbow macaroni. Heat the pot on medium heat to bring the mixture to a low simmer and keep the flame consistent to maintain the low simmer. Stir the macaroni frequently as it comes up to a simmer. This will separate macaroni and keep them from sticking together. DO NOT LEAVE THE STOVE! The mixture will come to a low boil very quickly and leaving it unattended will leave a big mess on your stove stop. 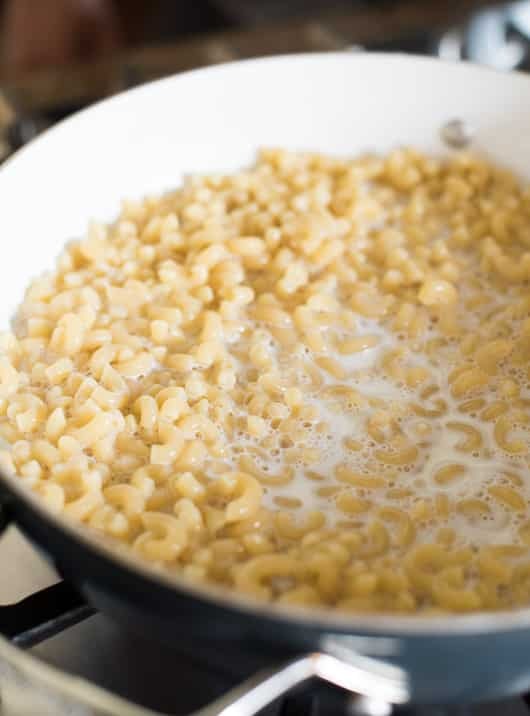 Continue to stir the mixture frequently so that macaroni will cook evenly and absorb milk evenly. If you don't stir your mixture frequently, you will get a big clump of macaroni in the end! Stir, stir stir! Cook for about 10 minutes or until macaroni is tender. Make sure there is still some milk in the pot to melt the cheese, which makes the mac and cheese creamy. **If macaroni is not cooked fully, add a little more milk to mixture ( in small amounts) until macaroni is fully cooked. 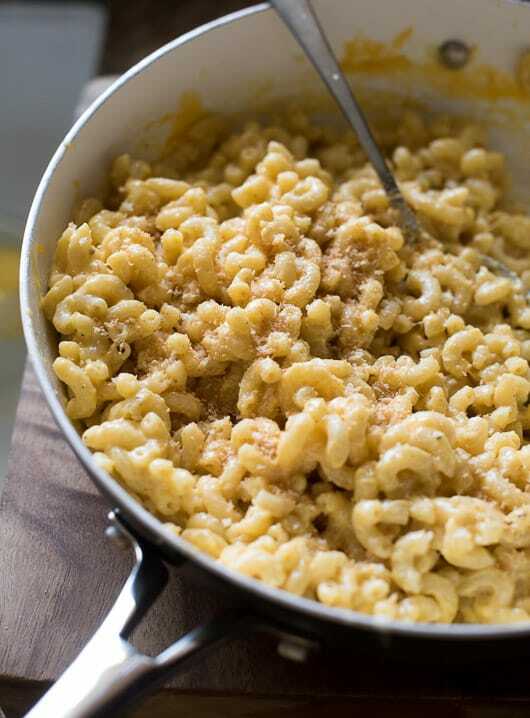 When the macaroni is plump and cooked, add the mustard powder, salt, nutmeg and grated cheddar cheese. Stir the cheese mixture evenly into the macaroni. We will add more milk to the pot if needed, then add the cheese to make the mixture more creamy. Take a final taste and add additional salt to taste. 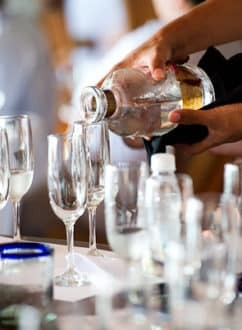 Before serving, stir one final time to mix everything together. Turn off heat and serve immediately. Add bread crumbs for a crunchy bite if you wish. Hi Melanie, love the addition of tuna! Yum! Now, I can skip the oven on these hot summer days! I usually boil the pasta in water before adding milk, shredded mild cheddar cheese, black pepper. Optional: toasted bread crumbs (now I know this can be done on the stove top). Thanks! In the mood for homemade mac and cheese but couldn’t make it the way I usually do. This tastes great and is super easy to make and clean up after!! It works fine with whole milk. We prefer 2% because there’s already enough fat with all the cheese. And that’s the milk we always buy and have in the kitchen. I was thinking about this the other day. I thought ” i want mac & cheese but not in the oven” this is exactly what i needed! By the way I LOVE the video!!! I have been using the old recipe (2009 version) for a few years now, and only when I sent it to a friend, she told me it is different than I had mentioned, and I realized you have made changes to it. I found it perfect just the way it was (did all the tricks as you and readers in the previous post had advised). I will keep making it the old way. I think the old version should have been kept as 1 way, and this version as a 2nd way. Thanks anyway for the best recipe ever! Wow! This is delicious AND easy! I modified of course using a gluten free rice pasta and almond milk. The gluten free pasta is very gummy so I dumped some pasta water and added fresh again which seemed to help before adding my almond milk! I love the versatility of adding whatever spices and using whatever cheese you want! Thank you for this fantastic recipe!! All in all, great recipe! Thanks for sharing. This is like Velveeta only way better and healthier! I’m a plain Jane when it comes to food so I left out most of the spices and the butter, because we are out. Still super delicious and a lot quicker than my mom’s version! Delicious mac and cheese! Instead of low fat milk, I used half water, half whole milk. Note that 1 c grated cheddar = 4 oz cheddar by weight, so be careful if you’re using a block of cheese. Guys, this is the best recipe ever! Even after having to abort mission halfway through cooking the macaroni, since we had a power cut, it still came out yummy. I couldn’t believe that the mac didn’t go hard and chewy after standing half-cooked for 2 hours. I halved the ingredients and it was still too filling. I didn’t even add mustard or nutmeg, just salt and pepper. Used Edam & Gouda cheese. Oh, and stir, stir, stir some more. It would have been done in 20 mins if it wasn’t for the power tripping on me. Totally worth it, I’d recommend this to everyone. I just made this for a party, so I doubled the recipe. It was very easy and came out very good. The only thing I noticed was that 15-20 minutes seems to be overestimating. It cooked much faster than that. I made this with whole milk and cheddar because that is what I had on hand, and had to leave it in the pot an extra 15 min because the rest of dinner was delayed. The macaroni had the consistency of glue and was SO salty! I’d like to make it again with skim milk (maybe even cut with water) and not salt it until the end. I do think the recipe has potential and was so excited after reading some of the comments. YUM. Just made this for lunch and I might eat it all! I’ve never used mustard powder, so I used slightly less (not knowing how it would taste). I also used the random cheeses I had in the house. It ended up being pepper jack & colby. Will make this again! LOVE IT! I’m eighteen and saw this recipe on Pinterest. It turned out fabulously for me, and i have zero experience in the kitchen. I used white cheddar and american cheese, shredded myself. no butter. the milk took like thirty minutes to fully cook in so that was annoying, but it ended up tasting amazing! Do NOT use whole wheat elbow pasta! Flavor was great, but it didn’t cook right. Too grainy and weird. Next time I will use regular elbow noodles. This is The ulimate recipe for mac & cheese, less cheese and fat than most recipes i found, still not fat free but hey no one said to eat that when u are on a diet. 🙂 never going back to the boxed version or trying another recipe again. Just read inatructions carefully and this is a keeper!!!!!! This was so good, thank you! Actually, it turned out way better than any of my previous efforts trying to make mac and cheese with two pots and a separate bechamel, etc. Admittedly, I did use more cheese than was called for. Probably closer to 1.5 cups – a mix of sharp cheddar and parmesan. Exactly 2 c. skim milk (what I had on hand) and maybe 2-3 Tbsp. of butter (but after tasting I think 1 would have been fine). I also added a sprinkling of seasoned salt, black pepper, garlic powder, and smoked paprika at the end [maybe too much – will keep it more simple next time :)]. To those who said theirs came out gummy and/or mushy, maybe shorten the cooking time a bit? Every stovetop is different, but after mine came to a simmer and I turned the heat down to low, it only took about 7 minutes until the pasta was cooked and tender (I like mine just a smidgen past al-dente). And it did get even a little softer in the 5 minute resting period. Cheers to an easy one-pot dinner! 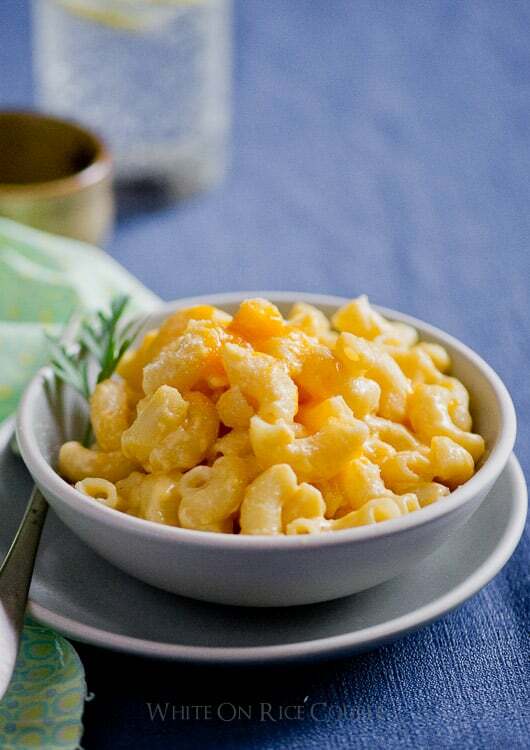 You are a mac n cheese genius…soooo good! Great recipe and vey easy! I just made this–finally–and it is amazing! I couldn’t imagine how it would turn out without the traditional roux, but I’m a believer. I will never make it the old way again. It’s so much better without adding flour, which I now know was not necessary. Many thanks for coming up with a great new way to make fantastic mac and cheese! Delicious! The pasta you use really matters!!! I made it for the first time last year with ronzoni macaroni and it came out perfect!! I tried it again last night with macaroni from Trader Joe’s and it didn’t turn out as well. FYI. This was amazing! My 6-year-old said better than the boxed stuff, which he loves. Substituted a dash of allspice and dash of cinnamon for the nutmeg, and used a bit of yellow mustard from fridge instead of powder. Used 2% milk and a mixture of sharp white cheddar (shredded myself) and bagged mild cheddar. Babysat it at the stove stirring, had to add extra milk at the end to finish the noodles. Topped it with toasted panko crumbs. Boiling in milk makes all the difference. The noodles were so creamy and yummy even before adding the cheese. My stove-top macaroni recipe search is officially over – I love this (thank you). Of course, we all have to change it up a little. Instead of using plain milk because it just tastes too sweet to me (I can’t even tolerate sugar in whipped cream), I used the “milk broth” from Laura Calder’s recipe for potato puree. She adds herbs and seasonings to milk, brings it to a simmer, turns it off and lets it steep, then strains. I changed her recipe a little, adding different herbs. has anyone ever tried this recipe using coconut milk or almond milk?? would like to make this recipe as healthy as possible, but i’m wondering if the consistency of these types of milk will hurt the end result.. I have! Turned out fine 🙂 you can use almond milk for anything but jello or pudding! I though I was going to have to babysit this a lot more than I did. Seriously easy. I halved the ingredients because I’m the only one in my house that likes mac and cheese (crazy right?). I used sharp cheddar plus one processed cheese slice (someone commented and said this helped keep the texture creamy, so I said heck why not and tried it out) and threw in a diced tomato, a few chopped up strips of turkey bacon and a scallion. So good. Next time I might add a little more milk (I did add one extra 1/4 cup) and simmer for longer to see if I can get it to be a little less al dente. But seriously, no complaints. It’s delicious. This is my new go to mac and cheese recipe. I just prepared this n must say it was good. I used only Cheddar n it came out well. I just finished my bowl of mac n cheese, which was pretty good and easy! I used whole wheat rigatoni, coriander in place for nutmeg, mustard in place of mustard seed, skim milk, and 2% milk sharp cheddar cheese. I used way too much coriander (or maybe I shouldn’t have even used that) and I thought it was going to be horrible at first because the cheese and everything wouldnt stick to the noodles. I added a smidgen of flour and took it off the heat, so it started to thicken up and hug my noodles 🙂 … I had tons of leftovers because I’m a single woman so let’s hope and pray that it will be good for leftovers! Just made this for my family. Was so excited when I saw how it turned out….until I tasted it. I did use 2% milk so maybe that was the problem, or I didn’t add the mustard powder. I don’t know, but I will not be making this one again. I’d rather have boxed Mac and cheese. Not very cheesy either. But this is just me. Good luck everyone else, if you’re thinking of changing the recipie like me though, please don’t. I’ve been searching for a fast mac&cheese without processed cheese or flour and finally found this one!! Can’t wait to try! Saw the recipe on Pinterest & had to try it! I love that you include special instructions so that you don’t cook the pasta & milk too fast. I used French’s mustard since I don’t have mustard powder & cayenne instead of nutmeg. I used whole wheat shells & bagged shredded cheddar cheese, which I rinsed & drained before adding to the pot. Creamy! I will be making it again. O. M. G. This mac and cheese is over the top and completely satisfied. And the best part of all is how easy it is to make it gluten free! Since being directed by my doctor to be gluten-free, I have missed comfort faves like pancakes, sandwiches, and mac-n-cheese, but this recipe, when made with pasta made of rice or corn (Trader Joe’s and Sprouts Markets), hits the yummy tummy spot! I was so happy at how gooey the sauce turned out, just by cooking the noodles in the milk – no roux required! In fact, I added too much cheese my first go-round! Rice pasta needs more milk and time to cook, but very easy to add milk as I went. Thank you for this saving-grace recipe and making gluten-free not taste-free! I made this last night and it’s awesome! You really do have to follow the recipe and constantly stir over LOW heat. Thanks for a new favorite! This is similar to a recipe I found on the back of a box of Barilla a few years ago. That one calls for sauteeing diced onions in butter before adding the milk to the pot (then boil the milk before adding the macaroni). The recipe also calls for fontina, which is delicious. Frankly, it’s pretty good even before you add the cheese. I usually add the pasta, stir it for a minute, then turn the heat to medium-low, cover and walk away. I’ve never had much problem with sticking, and the pasta keeps its shape quite well. Just cooked this for my kids tonight… it it was SO good! I wanted to give them something “real” rather than the ol’ KD they keep asking for.. It turned out perfect! I used the Catelli Smart Pasta, macaroni and (for the kids) I didn’t use the Nutmeg or dry mustard.. I used a pinch of Garlic powder instead.. I also added a bit of butter with the milk (and a little salt) I did rinse the pasta first and waited for the milk (skim) to come just to a bowl (on Med heat) before adding the macaroni. I waited for it to come to another bowl before bringing down the heat to low (med-low) I kept stirring (not constantly but very often, so the heat would have a chance to come through.. if that makes sense) I kept adding a bit more milk throughout the cooking process just to keep the pasta well coated.. I probably added 1/2 cup or so more. The heat was mostly on Low to Med-Low.. It took about 30 mins to cook as I wanted to be patient with the pasta and not rush things.. It sure paid off! I added Cheddar (med – for kids) and one slice of process cheese for smoothness.. It does help. with a little more butter to “cream” things up.. This was for the kids, so I wasn’t too concern about calories here.. =) I only did 1/2 a recipe this time in case it didn’t work out.. but it was lots for my 2 girls.. We all loved it!! As far as too salty, I seasoned it to our taste, starting with less and adding more as needed.. The texture/consistency was perfect! I took my time on low heat and kept a good watch throughout the cooking process.. I was a little worried by using “pre-shredded” cheese (all I had on hand) but by adding one slices of process cheese, it really helps to smooth the sauce.. (I used that trick before with broccoli and cheese soup) Plus, perhaps adding a bit of butter along with the cheese helps to smooths things out too.. Not sure, but I just love the taste.. =) All in all, I was pleasantly surprised at how good it was and how well it turned out.. Creamy and tasty! I love this recipe and so does my family! I just boil the noodles in water and cut the milk by about 1/2 cup. I melt the butter (about 2 tbsp.) with the milk in the same pot. Add the cheese (cheddar and parm), the drained noodles, and bacon (the real bacon bits work great). Mix until combined and oh my!! No more rue, no more fuss. I also like to add crushed crackers and more cheese on top and bake / broil until lightly browned. I made this with coconut milk. Oh, and I made it in the microwave, zapping and stirring for two minutes at a time. At first, I was a little disappointed because the sauce was too thin. Then I got a phone call, which caused me to leave it in the microwave for about ten minutes. When I got back to it, it was absolutely perfect. I couldn’t be happier. Thank you! My boyfriend recommended this recipe to me, as we were looking for a simple, basic stove-top mac & cheese recipe. He knows I’m not particularly skilled in the kitchen (yet) so I avoided cooking the noodles in milk and instead opted for cooking in water like normal and adding about 1/3 cup of milk after draining the cooked pasta + water. Then I added in my (self-grated) cheddar cheese, dry mustard, and salt. It was a huge hit here, and maybe one day I’ll work up to cooking the noodles in the milk. This has become my personal new favorite stove-top mac & cheese recipe, particularly because of the dry mustard. I was using a recipe before that called for only 1/4 teaspoon….amazing what double that amount does for the taste! Do you think I could use plain soy milk for this recipe? We haven’t tried it, so we can’t say for sure. Several of the people in the comments have mentioned having great success with other milks (almond milk, coconut milk, and soy milk). Sometimes they’ll mention adjusting the milk quantity a bit but it seems to come out great. I made this and it turned out great, I used Cheddar Jack and spiral pasta and my family loved it. This recipe is fantastic. I did not have coriander or the dry mustard, but it was still wonderful ( bet it would be better with both). I know readers will find this hard to believe (I was apprehensive to try it) but it was suggested to me by a friend to use unsweetened Almond milk (Blue Diamond brand) as oppose to dairy milk. My husband, who is a total carnivore, did not even notice! He loved it. I used organic cheddar and parmesean cheese, and added more than one cup, maybe another 1/2 cup. I used organic cavatappi pasta which needed a little more unsweetened almond milk throughout the cooking process. Not that much more, but as the timer was getting below 10 minutes I definitely added more almond milk, 1/4 cup at a time. It was creamy and yummy, great for the winter. I am delighted to have found this recipe. Oh, also, I topped this with some canned chili and made halfway homemade chili mac. It was the perfect consistency and creaminess to offset the chili. Not all mac and cheese can be used for chili mac, but this one is perfect. I am so so so in love. I just made this using egg noodles, because that was what I had in the house. It turned out spectacularly. When my noodles were done to the point I liked them there was still about an 8th of an inch of milk in the bottom of the pot. I decided to just throw the cheese in and figured I’d add some flour to thicken if necessary. I ended up adding a little more cheese than the recipe called for, but it completely worked. No flour necessary and there was even some extra cheese sauce in the bottom I got to scoop up with a spoon. So for those of you who ended up with mush, maybe just stop cooking the noodles earlier. If the milk isn’t completely cooked down, it will proabably be ok. Thanks so much for the post!!!! I always want creamy mac and cheese, but all the recipes I had seen seemed so daunting. This one can be made on a whim! Has anyone tried to make this a day ahead and reheat it in the oven (aka bake it) the next day? I was thinking of doing that for Thanksgiving, but wondering if it would be too dry (even if covered?) or if anyone has had any experience doing it that way. Thanks!! Hi Emily- I wouldn’t recommend making it a day ahead. The cheese tends to dry out quickly and think that you’ll get a really mushy batch of mac-and-cheese if you were to re-heat it. But if you do attempt it and it does work, please let us all know because it would be so helpful to learn from your experience! Amazing stuff!!! i tried this out today…loved it!!! will be making it again and again and again. Thanks a lot! I tried this recipe and it was so good! I needed to add some more milk and water & I didnt use the nutmeg. I also used regular mustard instead. I got impatient and the pasta came out more firm than I would of liked, so next time I’d probably add more water & milk and leave it on the stove longer. I used shredded cheddar cheese & some cream cheese. It was delicious even though the noodles werent too tender. Great recipe! This recipe is such a great find!! Never imagined something so creamy and decadent would come out of something so easy! Just a note, I needed much, much more milk than as per the recipe. I suggest you keep plenty handy! I made this tonight and it was a huge hit!!! Everyone went crazy over it, it was hard for me to stop ‘test tasting’ it after it was finished! lol I thought I was going to mess it up cuz I get easily distracted when i’m cooking other things but I stuck to it and kept stirring and it turned out AH-MAAAAAZING! I tried your recipe with regular mustard instead of powder since I didn’t have any. It came out delish, although I think I might have put a tad too much. Other than that it was easy…also it was My first time making it from scratch! Thanks for sharing! Ok, I just made this with SOY MILK! I have tried many times to use soy milk to make macaroni and cheese, to no avail. This actually turned out really well. I used garlic salt, onion powder, and a couple dashes of cayenne to counteract the sweetness of the soy milk. The only thing I would do different next time is substitute 1/2 cup of the soy for 3/4 ish cup of water. It turned out kind of thick, and very creamy, but still…. very good. WOW! I never leave comments on recipes I try, mostly because I’m lazy… But if you follow this, and really commit the 15 to 20 minutes to standing at the stovetop, you will fall in love! It turned out absolutely perfect! I used sharp cheddar and 4 slices of Kraft American. VERY VERY tasty recipe that will become a go-to. I would like to try this using whole wheat pasta next. great recipe. i used gluten free macaroni and it worked just fine too. i also used just a bit of yellow mustard – because i didn’t have mustard powder. great recipe!! thanks for the post. There is a method ( and a science) when cooking starches in the family of grains and starches like oatmeal and grits to be able to get the correct consistency in the end result. If you want a creamy end result, you have to start your grain and your liquid cold and bring it up to boil and cook. If you want a firmer result, you have to add the grain to boiling liquid. In my opinion, I would rather bring the milk up to a simmer and then add raw pasta. The end resulting consistency was off and for me I feel this would help it. Everything else was delicious and nice. Russell- thanks for the input. This could be very helpful for some readers to do as you suggest: bring the milk up to simmer first, then add raw pasta. Hope readers consider this option as well! I just made this and it was AMAZING. I followed the recipe and used cheddar and mozzarella. The mozzarella made it pretty stringy, but it tasted great. I felt so guilty eating it that I had to keep reminding myself that it’s only milk and cheese. I didn’t use butter, by the way, and it was still fantastic. This will definitely be a repeat recipe, and I’m sure my bf will love it too! This recipe is AMAZING. I almost could have eaten it before I put the cheese in. Not kidding. I’ve tried some recipes recently that were supposed to be simple and amazing and they’ve been less than stellar. This is awesome. I followed your instructions exactly and had absolutely no trouble. I used little pasta shells and they may have cooked a bit faster. Amazing. So fun to have delicious mac & cheese with no crazy day-glo orange powder involved. so easy! thanks for the great recipe! Kim- thanks for your suggestion about letting the milk boil first. This could be very helpful to readers! Lotty- Hi Lotty, do you think the grainy texture could have been from the cheese? We can’t think of any reason as to why milk would have separated and go grainy. Hopefully a reader can help out! Great recipe! It tastes good, doesn’t use the oven, and uses one pot; the exact kind of recipes I was looking for. I just made this with whole grain penne and it came out fantastic! Thank you so much for this recipe! I can’t wait to make it again and again with different variations! I just tried it and it didn’t work so well for me. I only had whole milk so I think that might have been the problem. The noodles cooked up just fine but it all just turned into a mush of evaporated milk. 🙁 The cheese could barely be tasted and the noodles were so mushy that they were indistinguishable from the rest of the mush. I may have tried too small of noodles too (they are whole wheat elbows but they are tiny). Do you (any of you) think that the whole milk might have been the problem? Did it create too much of a paste because of the fat content? I had the same problem! I used skim milk so I don’t think that was it–however, like you, I used small (whole wheat/vegetable infused) elbow noodles. So maybe that was it? I’ve been scared to try again! If your noodles are too mushy and your milk evaporated too quickly, you may have had the temp too high and cooked the noodles too long. Maybe check noodles for doneness every 5 min or so? Wow! 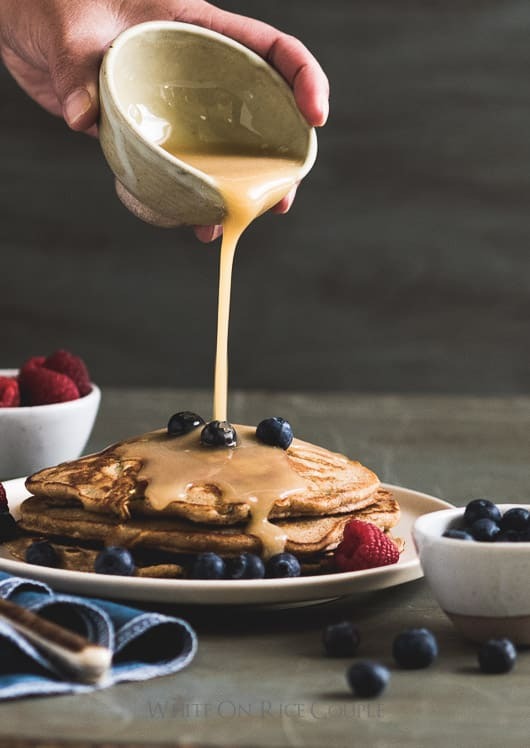 For using only skim milk, I cannot believe just how thick and unbelievably RICH this got–I ate a small portion and couldn’t eat any more because I was FULL of cheesy goodness!! In fact, I actually prefer my mac’n’cheese sauce just a bit thinner and creamier than this stick-to-the-spoon version turned out, so I may try a combination of milk and water next time instead of just milk. I used monterey-jack cheese, but next time I think I may use a sharper cheddar and bump it up to 1 1/2 cups or so. I also used a dash of white pepper along with the black pepper–yummers! Great recipe!! Just made this and it was amazing! I doubled the recipe and ended up needing about 6 cups of milk in total. One recommendation I have is using a nonstick pot though because without stirring even for just 30 seconds, the pasta will stick to the bottom. I used shredded cheddar and jack. It ended up being super delicious and ultra creamy! Will definitely make this over and over again! I put a little franks red hot on top and it was so mmmmmmmm. Thanks so much for this fantastic recipe!! I completely guesstimated the measurements, and I think it turned out delicious and amazing. I just put in enough fat free milk to cover the macaroni completely – and that seem to have worked pretty well. I stirred through the entire process with chopsticks, which seemed to cover more area on the bottom of the pot versus a wooden spoon with it’s rounded tip. Since I liked mustard, I upped that and minimized the cumin. I agree that the butter is give/take though – not necessary at all! Thanks for sharing this awesome recipe! Thanks for a great recipe for hot summer days. I used small shells for quicker cooking time and more surface area to absorb the milk quickly. It needed about 1/4 more milk and was just perfect. This will be my go to mac-n-cheese recipe. Just made this and it came out great – if you don’t like your food too salty, I would go with 1/2 tsp salt and then taste at the end. Cheese can be salty depending on what you use. Great recipe! Well….I seem to have made a rather fatal mistake. I used like small veggie macaroni noodles and the poor things more or less fell apart and there was so much unabsorbed milk and I ended up with just…goop 🙁 So bummed. I could kick myself. Tastes so good! I tried it with a mix of cheddar, parmesan and mozzarella and it’s nicely stringy, which I love. What other cheeses would people suggest I mix in? I just amazed the pants out of my soon to be husband with this delicious cheesy delight…34 days and counting! Oh FYI try it with white American and Vermont sharp white cheddar combined totally Panera style. I made this last night and it is FANTASTIC! I just finished off the leftovers for lunch, in fact. Thanks so much for sharing the recipe – it’s an instant favorite in our house now! As for the folks that found the finished product too goopy, just a thought – pre shredded cheese is usually dusted in cornstarch to keep it from sticking to itself. If they used that instead of shredding it themselves, it might really increase the end product’s thickness. Anyway, super delicious and easy recipe! Thanks again! LOVE LOVE LOVE this! So easy and so very yummy. Couldn’t believe how creamy it was with so little effort. But it should be eaten right away. We were grilling and it ended up setting too long. Creamy was gone but the taste was still great so who cares?! 😉 We used Salsa Jack cheese and I didn’t use nutmeg. This recipe was great! Followed the directions and had no problems. This mac and cheese does NOT come out like the baked kind, which doesn’t bother me at all. I prefer the gooey, creamy, cheesiness of this recipe to baked mac and cheese. Maybe some of the posters are used to or prefer it baked. Baked is just too dry for me, I guess. In any event, most excellent recipe. Cheers! I am so glad I found your recipe. To say my son loves mac and cheese is an understatement. I just finished making this for him and he said, “Mama, thanks for making me the best mac and cheese ever.” All while making “mmmmmm” noises! Thank you! I’ve eaten a lot of macaroni in my life, and I consider myself a very picky audience. I’ve never liked any stovetop macaroni (except for the kraft kids kind, you understand if you grew up with it) because they all call for a roux that doesn’t really taste very good unless it’s baked. Being a college kid and only having access to standard grocery stores, cheese is pretty expensive too. Most macaroni takes 2+ cups of cheese and then extra (for me) for it to taste good. It turned out perfectly for me by just using the directions as-is, so I think people having issues are just not reading your post thoroughly. It’s definitely a must to keep stirring the pasta or you will wind up with a big block of goo! Good recipe, I doubled it. I didn’t have enough milk, so I used 1 3/4 cup almond milk (then I ran out of almond milk lol) and then supplemented the last 1/4 with regular milk. I did not use the nutmeg nor butter, and I didn’t have any mustard powder; instead I used regular mustard. I also splashed a bit of Cayenne pepper into the recipe. Just tried this after seeing it on Pinterest. The flavor and even the texture of the pasta itself was okay (I used a cheapie brand from Aldis), but for me there was way too much sauce and it was way too thick. I thinned it out with some water but it still seemed pretty gloppy. I think next time I will do as a couple others have suggested and just boil the pasta separately. To the commenters who ended up with gluey/mushy pasta: I find this sometimes comes with lower quality pastas. Get the good stuff for a recipe like this, and save the discount brands for traditional cooking methods (even then some of the cheaper stuff is no good). Wow! Just made this with whole wheat pipe regate because that’s what I had on hand. I also used skim milk and 1 tablespoon of butter. So, so, so easy and so delicious! It was even good before I stirred the cheese in. This is a keeper. Kids gobbled it up, too! This was the worst mac and cheese ever! I followed the recipe to a T. It became very pasty and sticky. Eating it was like eating mashed potatoes. Maybe add more milk? Kelly- I would definitely add more milk. “low heat” varies tremendously on everyones stove. But I’m finding that when cooks add more milk the second time around to adjust to their “flame”, the results are more successful. I tried this last night, but mine ended up really gooey. All the macaroni wanted to stick together despite my continuous stirring. What do you think I did wrong? Jeni- hi Jeni, maybe try again using more milk and on your lowest heat. Everyone has a different flame on their stove and I’m finding out that when cooks add more milk to adjust to their flame, they have much better results. Found this recipe on Pinterest and really wanted to try it since I love mac’n’cheese, but the old fashioned baked kind is a lot of work. I think it worked the way it was supposed to…the milk thickened up into a sauce like consistency (I had to add extra milk a couple of times) and the pasta cooked through, but when I ate it I found the texture too gluey. The taste of the sauce was fine, but you can’t make the sauce like that (without flour) without the starch from the pasta to thicken it up, as other readers pointed out. So if the texture doesn’t work I’m not sure what to do as alternative. Overall, I was disappointed. I was only able to eat a few bites because of the texture issue. OMG.. I made this using ALMOND MILK and BROWN RICE PASTA. For those who may have been nervous about using those ingredients, I just did and it was fantastic. The almond milk makes it unbelievably creamy! Kind of like velveeta… I imagine I cut the fat and calories almost in half with those subs. Great recipe! Tried this tonight, it was pretty sticky, I think I used too much cheese! But it tasted really good!! It was delicious! I gave up on the Kraft crap years ago because it just didn’t taste like food. Thanks for posting. 🙂 I made this today, and I didn’t mess it up! Woo hoo! I only regret skipping the butter. I’ll try this again with butter and different cheeses. Looks great. I cannot stand “fake” make and cheese. A lot like mom’s baked version. I do so love those crunchy/chewy bits on top when you bake it, though…maybe I can give it a quick broil in the toster oven…mine’s big enough to get an 8×8…or maybe just do individual serving sizes. Ok first of all I don’t care for baked mac and cheese. If it goes in the oven it’s simpy to broil a topping of cheese. I’ve been searching for a great tasting stovetop mac and cheese! I think this is THE one!!! I used a combo of american and sharp cheddar!. I love my pasta to be al dente and this stove top version allows me to control how much the pasta is cooked. I did end up adding more milk during the cooking…almost 1/2 cup of warmed milk. It’s very good and I think this may be the one that keeps me from using the blue box! I made this tonight. I didn’t have a back up plan, so I had to send my husband out for take out. I followed everything to the T, but the noodles just would not stop being oddly chewy. It seemed kinda al dente, but even after more and more cooking and baking, they are STILL kinda chewy. The creaminess of the milk and pasta was awesome, and the cheese mixed in seemed great, too. The only problem was in the noodles. I have very picky eaters and I knew my son would have gagged by the hardness of the noodles. I should maybe have let it simmer longer? The second it got to simmering, I put it on low. At any rate, I could see how it *could* be good, but it didn’t work out tonight! Made this tonight and it was DELISH!!!! I kept the lid on between stirring and added milk and a hunk of velveeta at the end for added creaminess….best to eat it right when it’s ready because it continues to soak up the liquid. YUM! I’m glad others were satisfied with the results achieved with this arguably unique technique. Regretfully, we found it too gummy. (Gummy is not the same as creamy.) I followed the ingredients and directions to a T, except for the nutmeg (not a fan of nutmeg in my pasta dishes.) It’s back to my own baked and stovetop recipes. My stovetop technique requires just one pot and one colander, as this one did – I drain hot pasta in it while I return the pot to the stove and make the Bechamel sauce and add cheese. oh this is to-die-for! i’ll make one ASAP. I quadrupled this recipe for a potluck lunch. Takes longer for the pasta to cook obviously (about 40 minutes) and had to add about 16 oz of water to help the pasta cook completely. It tastes is A-M-A-Z-I-N-G! No flour means no lumps, no grainy taste in the mouth. Love this recipe! And all the stirring is a good workout for the arms! thanks for sharing. made this tonight. i made it as per your instructions. i did need to add another 1/2 cup of milk. i left out mustard and added a little too much nutmeg, but the result was awesome. i stirred it constantly. my dh said that it is the richest mac and cheese he has ever eaten. my girls loved it. thanks again! I checked the pasta as it cooked, and it seemed about done before all the milk was absorbed, but I knew I’d be adding more stuff, so that worked for me. When the pasta was ready, I added about 3 cups of shredded mild cheddar and stirred to melt it. Then I turned off the heat and added about 2 cups of frozen peas (still-frozen) and 2 cans of drained tuna. My 6-year-old and husband loved it, and I enjoyed it as well. Thanks for the recipe! This was way too salty, I’ll try it again and wait to add salt to taste at the end. Thanks for the recipe! Made this tonight with light soy milk, shredded cheddar, no butter and ‘smart taste’ macaroni and it came out great! I was worried about the soy milk but it is completely fine as long as you’ve had soy milk before and know the flavor. Thanks for such a great twist on my favorite meal! Great concept! Thanks for sharing the recipe. Made it tonight and loved it! Even before adding the cheddar, it was tasty – almost like alfredo sauce. It does get too thick very quickly, so it might be challenging to take to a potluck or something. But if you’re just going to eat it right away, it’s amazing! Some ideas: 1) I warmed the milk (until the butter melted) before adding the pasta, and I think that helped with the sogginess, as another poster suggested. 2) I added sour cream at the very end and that thinned it some while adding a nice flavor. It tasted good but took over an hour before the noodles cooked in the milk. If I make this again I will precook the macaroni somewhat. I made this tonight using medium macaroni noodles with ridges, 2% organic milk, a little squirt of grey poupon because I had no mustard powder, sharp cheddar, and goat cheese. I toasted parmesan bread crumbs and made a topping with those, bacon, and parsley. I did end up having to add about an extra 1/3 C of milk because my noodles absorbed the first 2 cups very quickly, but they were still done and tender well before 20 minutes. This dish turned out phenomenally. The goat cheese really sealed the deal. It melts extremely well, and has a good strong flavor. The zing of the sharp cheddar reminded us that this was, in fact, mac & cheese and gave the sauce a creamy yellow color. My only criticism is that if you’re serving this as a main dish, rather than a side, it seems like the recipe might need to be doubled. My husband and I easily put away what’s recommended as 3-4 servings by ourselves. 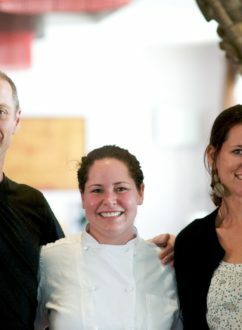 In response to Sarah Paige, it might be your organic, lactose-free milk that gave your dish a sweet taste. I’ve found that organic milk tends to be quite a bit sweeter than regular milk. I read once that it has to do with the UHT pasteurization method used for organic milk. The high pasteurization temperatures bring out more of the milk sugars, or something. Rachel- thank you for the valuable input regarding the use of organic, lactose-free milk. This can definitely change the flavor and/or consistency of the macaroni and cheese recipe. I tried this tonight, but I can’t get over how SALTY it is. I like salt, but this is so salty, it’s almost inedible. I read and reread, I used the 1 tsp of salt in the recipe, and that is it, I’m not sure why it came out so bad. Just made this using American cheese. Next time I think I will leave out the nutmeg because it was a little overpowering, but I might have used too much! I also added Sriracha (hot chili sauce) at the end, and it was sooo good! I made this yesterday, and it was amazing…hands down the best mac n’ cheese I’ve ever made. These are my modifications: I doubled the recipe for my 3 boys, using bowtie noodles instead of macaroni noodles. I used 3 TB unsalted butter. I used a mix of the following cheeses: 1 cup TJ’s shredded mexican blend, 1/3 cup shredded havarti, 1/3 cup shredded romano, 1/3 cup shredded parmesan. I did end up needing to add some water to get the noodles cooked, and I added a little at a time, stirring constantly until the noodles were cooked. Lastly, I also steamed and pureed 1 cup of cauliflower and mixed it in with the cheese. My family had no idea until I told them, and they loved it. I forgot to add that I left out the mustard powder and nutmeg and added garlic powder. I’ve been looking for this kind of recipe so long. I didnt own a oven or any fancy cooking appl.that makes life easier, just a stove. I loved mac n cheese that have it once a week over my fave joint, expensive though. This recipe calls for the pasta to rinse then put with the milk on a pot and cook slowly. This why the pasta comes out soggy and clumpy. Immediately after being cold wet the pasta starts to breakdown/melt also while stirring. This starch is what makes the milk dries up quick leaving the pasta stil uncooked. As per package says to boil water before adding pasta,then lower heat. So, either milk or water, the liquid should be hot enough for so the pasta surface will cook as soon. I followed the recipe twice. But on the 3rd what I did instead of rince I blanched,then add on the simmering milk and cook slowly as the recipe rquires. I used cheese spread and cream cheese and filled cheese. Really dont hav knowlge about cheeses,those youre saying are hard to find and way too expensive here. still got yummy thumbsup with my kids. Thanks so much. We made this last night and it was absolutely delicious. Used cheddar and monterey jack, can’t wait to make it again, yum! I made this with gluten-free pasta, mature cheddar and full-fat milk (that’s all we had). It was simple and delicious, but I do agree that it was a wee bit bland – which is absolutely unsuprising considering it is macaroni and cheese – I added a touch more salt and pepper, and my husband and I topped ours with hot sauce and the kids had ketchup, as is traditional in our house. We were all happy and full and not left with the mountain of dishes that Mac and Cheese night usually heralds. Thanks for going through the trouble of inventing the recipe and then photographing it and sharing it with all of us! it seemed like it was going to be good…but it wasn’t. I found this recipe on Pinterest and wrote about it here. It was definately the creamiest mac n cheese, but I used colby and cheddar and it tasted kind of bland. I think it must need a really strong sharp flavored cheese. So don’t be like me! Use cheese with lots of flavor! MrsBlocko- thank you for the input about the cheese. Cheese varies so much in terms of flavor and saltiness. Hopefully future makers will read your comment and use a flavorful cheese. I just made this dish. Very cheese and taste great!!! This recipe inspired me to finally crack the gluten/lactose-free mac n cheese I’ve been longing for. Without any flour to contend with, I successfully substituted my favorite, organic lactose free milk. Luckily, for me, I can tolerate some low lactose cheeses. I used a combination of cheddar, parmesan and emmental. Overall, this was a complete success proven by my “gluten-full” husband gobbling every last morsel. This will most definitely be a favorite in our recipe book. Advice: It was a rather sweet tasting dish. Can you suggest how to have a more savoury/spicy outcome? I made this recipe minus the nutmeg and mustard powder, because im a college student and didnt have any in my apartment, plus garlic salt and it was delicious! i also used soy milk instead of regular milk and i think it made it creamier. I highly recommend this! I was a little nervous at first, but it turned out great! I’d love to know if you have tried this in the crockpot! Found this gem on Pinterest – it’s making the rounds! Bulked it up with spinach and it was a hit. Even my 11-month old loved it. This is incredible!! I am the sweet person at holiday meals, because I am not good at sides or appetizers. You gave a recipe that I can take and be confident about and feel like the adult I am. Now I have to figure out how to travel a half hour with it?? My daughter is dairy-free but I wanted to try this for her using her special milk and cheese! It worked out great! I halved the recipe and used coconut milk. For the cheese, I used Daiya cheese. I could have used more milk a little longer cooking time – we were just eager to try it out! My daughter said, “I love it!” and that is high praise for my pickiest eater! I usually read the reviews before making a recipe, so I can learn from other’s mistakes. I was in a hurry and didn’t take the time, so of course, I made several. I only had rigatoni and I think those noodles are just too big, it was starchy and pasty. I also think I might have turned the heat down too soon. All the milk was not absorbed and I couldn’t get the cheese to melt. I also had to double the cheese to get any flavor (mild cheddar). I ended up putting the whole mess in a casserole pan and sticking it in the oven to get the cheese melted. I think it will be a great recipe if I can get my own snafus worked out. I plan to try it again as my family loves Mac and Cheese. Thanks for the recipe. I tried it with a common gratin cheese mix – the result was DELICIOUS! I did add a bit of water at the end to really COOK the pasta, just cooking in milk the pasta was a bit too chewy. Finishing touch with some ham and mushrooms. Will try this with blue cheese or any other strongly flavoured cheese too! I can’t wait to give this a try! I am with you on the trying it with Blue Cheese! Actually, TGIFriday’s had a 5 cheese macaroni and cheese for awhile that was awesome! It had Fontina, Blue, Gruyere, White Cheddar & Parmesan cheeses, which I’m betting would be awesome in this recipe as well! Oh my word! This recipe is so good! I made it last night with almond milk, and the taste was fantastic!! It was beyond easy to make, and the taste is out of this world! I used the smallest elbow macaroni I could find and a combo of pepper jack, colby jack and cheddar cheeses. Fantastic! This is definitely going to be my go to macaroni and cheese recipe from now on. Thank you!! 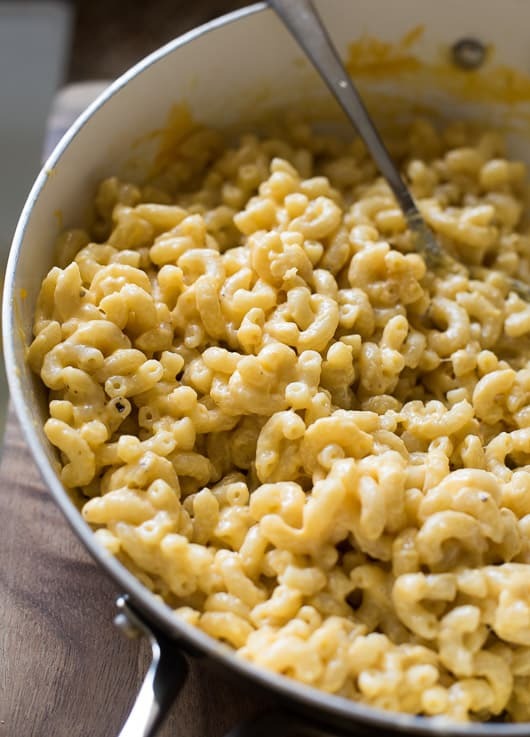 This is hands-down the best Mac-n-Cheese recipe I have ever cooked! I’ve made it twice, and both times it was perfection. So very easy, I can’t believe I’ve been making anything else before now. Thank you so much for sharing the recipe, and for your beautiful blog. 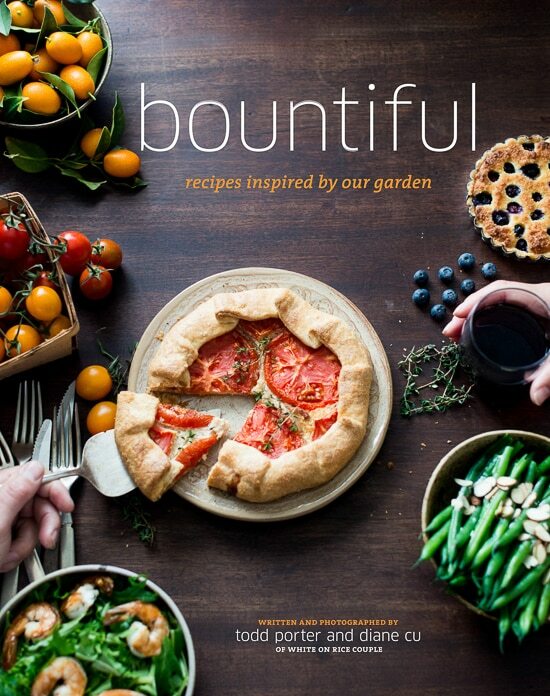 It’s an absolute joy to browse your recipes, read your stories, and feel your love for food. I made this a few nights ago with white cheddar cheese and “cavetappi” pasta. It took a little extra milk, just cus of the oddly shaped noodles I think. They have lots of surface area haha. It was like a revalation, how creamy it was! However… It cooled off pretty quickly and the cheese started solidifying a bit. The cheese sauce texture turned to kind of like mashed potatoes? Not the taste, just the texture. I’m not sure how well this recipe would reheat. It was delicious, but not something i would make often just because of the amount of time spent standing and stirring. Emily- thank you for your comment! The type of pasta will definitely change the texture of the pasta and how much milk it will require. Thicker, longer cooking pasta might even require double the milk. Delicious recipe! I found it on Pinterest and had to try it. One pot = one happy Momma at clean up time. I cooked it with whole milk (that’s what we have around the house) and skipped the butter and it turned out soooo creamy. I added some extra cheese – I love cheese – and was pleased, along with my little one with the ultimate oooey gooey cheesy creamy results. I would suggest to follow the directions and “stir, stir, stir” I didn’t have any problems with burning at the bottom and I tested my noodles as they cooked. I am a snob when it comes to noodles and insist that they be al dente. I kept testing as I went and finished cooking the dish about 5 minutes early so I didn’t have soggy noodles. The one thing that I will change when I make it again is less salt (I’m not a big salter and a whole tsp was a little too much for me) and I like stirring in some pureed butternut squash to add in some vitamins. Thanks for sharing a keeper of a recipe! Super awesome and easy technique! I modified it to make buffalo chicken mac and cheese and it turned out really good. It was a little bland before I added the buffalo chicken because i just used mild cheddar, so I recommend using a stronger cheese or a variety of cheeses than what I used. Otherwise, it was super creamy and delicious! I am going to give this a try with almond milk as I’m lactose intolerant! I bet it will be delish!!! If I do this I can handle the cheese called for. Thanks, no more heating up the house during the summer. Thank you so much! This is delicious! I used a little more milk than called for and cheddar cheese. It was heavenly and I will certainly make again. I added some boiled chopped carrots towards the end so I could feel less guilty! I tried this recipe last night and it is fantastic! I even used accidentally-purchased 2% american cheese deli slices, quite possibly the most disgusting product, and it turned out great. It was creamy, melted cheese dip over pasta. I will be making this repeatedly, in countless variations. Thank you so much for sharing! Seriously. Loved every bite and can’t wait to make it again. This was a great recipe! Not starchy… not sticky… not lumpy. just perfect! I cannot wait too try this!!! I have 2 boys that love mac and cheese and have given up on anything that comes in a box (unless it is crackers). I have been the on craving Mac & Cheese lately with the weather turning. Cant wait to make this for dinner tomorrow. Thanks so much for this fabulous recipe! It was a cold and rainy day here and this was the perfect meal for tonight. I made it with almond milk and it still turned out creamy, cheesy and delicious! I second Steve. This sauce recipe (skim milk, shredded cheese, salt, mustard powder, nutmeg) is simple and great, but cooking the noodles in the pre-cheese milk mixture results in a ton of clumpy starch and mushy pasta, even after rinsing. You will have much better results simply making the cheese sauce in one pot and cooking the noodles in the other. Yeah, you don’t get the fun novelty of being able to say “I cooked this all in ONE pot… no draining or anything!” but your results are so much better. Reduce the milk by at least half, cook the sauce in one pot (and you won’t even need to make a roux, at least if you’re trying to go for the creamy, gooey stovetop style mac n’ cheese) and then add the cooked pasta later. So, so much better. But a lot can be learned from a recipe like this… it’s got some great “essentials”! Literally just I finished making this! Followed it exactly as it was written & it came out perfect. I’m an 8th grade family & consumer sciences teacher (home ec, for those of us over the age of 30) and I’m always looking for healthier versions of foods that my students love (lots of them are not very adventurous eaters yet). This one is perfect! I used small whole wheat elbows, skim milk, no butter, 1 c. extra sharp cheddar, and the exact seasonings in the original recipe. It was rich, creamy, and smooth. I personally thought it was a little TOO rich and will cut back the cheese to 3/4 c. I did have to add about 6 T. of water during cooking. So happy they don’t have to make a roux – any time I’ve had them try anything with a roux in the past about half of them won’t cook it long enough and it just tastes like flour – yuck! I too found this to be a lumpy, sticky mess. I wish now that I had read through all of the comments before I made it. It would have been helpful to know that you don’t stir it until the end. I made this today and my sauce didn’t turn out quite as creamy/smooth as I expected. It was a bit grainy but overall still tasted good and my son loved it – ate his whole portion! I used whole wheat shells and was concerned there wouldn’t be enough liquid but they cooked up just fine! I didn’t put in the mustard powder but I doubt that was the issue with my sauce. Do you think it makes a difference if you use pre-shredded cheese vs. shredding your own? Hi Sara. It sounds like the cheese was the culprit. All cheeses melt differently, giving you a different texture for the sauce. Especially many pre-shredded cheddar cheeses. If you melt them too fast, the oils will separate from the curds giving you a grainy texture. Try either cooking on lower temperature or a different cheese. Good luck. Sometimes preshredded cheese has been tossed with something to keep them from sticking. I have had a simular problem using it for Fondue. Try a slower and lower melt, that may help. Good Luck!! I’m so sorry to say that I would not recommend making this! I thought it looked amazing, so I did it for the first time for some friends coming over, and I was embarrassed–i was so so stodgy and starchy. There may be a way to change this?, but I did follow the recipe to the best of my ability. I agree with another commenter that it may be best to just do the noodles separately so they don’t become a clump. I think it’s the starch in the pasta that becomes what the flour is in a roux. Tried this recipe tonight, it was delicious! I changed quite a few things though. First, I used whole wheat shells because I don’t often buy macaroni and didn’t have any in the kitchen. I used Cheddar and Parmesan cheese and also added a little bit of turmeric and frozen peas. I saw a recipe that had tuna and peas with mac and cheese that looked tasty, but I had no tuna so I thought I would still add the peas. Overall, it was fantastic. Standing over the pot for a while was tedious but well worth it! Thanks for the recipe! I found a link to this recipe on Pinterest, I love this idea for Mac & Cheese and will definitely give it a go, but peoples comments about this recipe’s great shortcut to the bechamel/roux made me think about trying it when I next make tuna mornay! All you’d need to do is add canned tuna & sweetcorn at the end, loving the one pot dish! I posted your blog on my foodie page to highlight this amazing recipe. Hope you come check me out and join the page too! I showed my husband this and read the first line. Total fist pump! He was pumped up to join the revolution. This looks good and healthier than most. Thanks for sharing I will be trying it this weekend. This sounds so good. Is is possible to make in a crock pot? If all you do is bring milk to a boil, then let noodles cook, could they be finished in the crock pot? Just curious. We don’t have a crockpot at home, so don’t have a great deal of knowledge regarding cooking with them. From what we know that sounds like a feasible plan, but we don’t know if you’ll need to make any adjustments to the quantity of milk. If you try it, we’d love to know how it turns out. Good luck! This is -literally- the best Mac and Cheese I’ve ever had. By far, hands down and so forth. Wow. Had it on a sandwich with a homemade Juicy Lucy- woooooooow. sounds delicious <3 definitely gonna give it a try some time soon 🙂 thank you! This recipe ROCKS! I live in Taiwan, where summers are SWELTERING and kitchens are small–ovens are almost nonexistent. I can’t just go and buy a box of Kraft here, but all the online recipes I’ve come across require an oven, so I’ve lived the past 2 years without this delicious treat. Thanks to your recipe, I have made some of the best, creamiest, most amazing mac n cheese I’ve ever had– I don’t think I’ll ever make another kind. It’s simple, fast, easy and DELICIOUS. Thank you!! Heavenly days, this so goooood! And so easy! I love that I don’t have to fire the oven. The texture is so amazingly creamy. THIS is the recipe that I will use time and time again. Thanks so much!!! My noodles all fell apart! I was cooking on very low – did I stir it too much? This recipe is GREAT! I’ve been looking for a good one, and this is it! For a nice little addition, in the very beginning, saute the butter with some minced garlic, then add the milk, salt, noodles and bring to a boil. It adds a nice ‘adult’ flair! 🙂 Also, I used small shells and it worked great with those. Thanks for this recipe – it’s amazing! Hi… I tried this receipe and it lead to disaster! I stood in front of the stove and stirred and stirred…. it got VERY thick… I added milk…. still stayed thick and the noodles didnt cook well.. they werent clumpy just not done and very pasty 🙁 not one I will try again. Should have read the comments and paid attention to LARGE elbows. Just made it with small, and the macaroni have absolutely no integrity left; I have a pot of paste on my stove. Absolutely terrible. Wow just made this, but used McLaren’s Imperial Sharp Cheddar (cold pack cheddar in the red tub) and is the creamiest mac and cheese ever! Best thing is that McLaren’s requires no shredding and melts instantly! Thank you so much! I followed your recipe to the dot and now my sisters can’t get enough of it! i made this recipe and it turned out feeling, and tasting, like play dough. I don’t know if it was the recipe’s fault or my own, but it was terrible. I just tried making this and it turned out surprisingly well. I halved the recipe because it was just going to be me eating, I dunno if something got lost in the process but I ended up having to use a lot of extra water to keep it smooth and not too thick and a fair amount of extra cheese for taste. All in all it’s a great method, I will definitely be using it again in the future. I finally found the perfect mac n cheese recipe after searching for years, and this is it. It is so simple compared to the others, yet taste so much better. I love the method of using the noodles own starches to thicken the sauce. Other recipes I tried called for flour and it always ended up so grainy or gummy. This is nothing like that at all. Its very creamy and flavorful. Thank you for this recipe. YUMMM it’s truly amazing, especially with nutmeg! Going to try it now. From the comments, it looks like a favourite! I’ll let you know. Added you to my reader too! Awesome blog! Am am gonna try this today for sure. It looks so yummyyyyy………. I cannot wait to try this recipe. I was looking for a good recipe, cuz I am really craving mac n’ cheese, but I am only 20 years old and am still acquiring all the pans and dishes I am ever gonna use. This seems perfect. I will come back and tell you, what I think. Thank you again for posting this. I think I may use maple bacon on top, it should be a good contrast to the cheese. I just found this recipe through google and it was exactly what I was looking for, with the ingredients I had. I made it with fat free milk, chipotle powder and garlic powder (instead of mustard and nutmeg). It turned out great. Thanks so much for posting this! Awesome! I was afraid to try but like you were saying, I’d do anything to avoid turning on the stove! The only changes I made were using rotini cuz that’s what I had on hand, also used sharp white cheddar from Wisconsin, baby! Delicious. I’ll definitely make this again….Is there any problems with doubling the recipe? I didn’t think so but….Thanks again! I just made this recipie and I gotta say it was fantastic..I only changed one thing, I added a couple of dashes of Louisiana hot sauce and man oh man .. Good eats.. thanks for the recipie.. I made this for lunch today with one minor change – I didn’t have elbow macaroni so I used shells. The sauce was delicious. I couldn’t believe how the milk absorbed into the pasta and thickened up so nicely! The only problem is (even though I kept stirring) my shell pasta got all caught up in itself. The shells that remained on their own cooked perfectly with only one extra addition of milk but the ones that got stuck to each other were still undercooked. I can see that this would not be a problem if I had actual macaroni noodles! Will try again with the proper noodle. Oh, I also didn’t have any mustard powder so I shook in some garlic powder instead. And I had no butter in the fridge, but the sauce wasn’t missing it at all! maybe the shells were my problem!?!? loved the easy of one pot mac and the flavor was great, but I’ll have to try it again with elbows! I have often searched the internet and tried many different mac and cheese recipes…but finally! Exactly the one I was looking for! Thank you so much! I tried it tonight and it was delicious…PERFECT! I am forever indebted to you. I have been searching for a good Mac & Cheese recipe for years. This one is perfect and so simple. I’ve bragged to everyone I know about this and sent several people here. Thank you, thank you, thank you. Mine took a little longer because I had to add fresh milk several times; probably because I had the heat on too high (I was impatient for a bowl of mac ‘n’ cheese!! Hehe) but I didn’t mind at all. I just sipped a big, cool glass of water while I stirred my pasta. What a way to cool down (and still get a large dose of your favorite comfort food) in humid, tropical Africa!! I topped my bowl of mac ‘n’ cheese with fresh, diced tomato, toasted, buttered breadcrumbs and a few sprigs of homegrown oregano. BLISS!!! =)) Make this, if you haven’t already!! It’s good when you want something quick to eat, perfect for lunch/dinner, great when you haven’t got anything else in your cupboards/house and even nice for serving to company.. I stumbled across your site while searching for a stovetop mac and cheese recipe, and I’m glad I did! You’re now added to my Reader. As for the recipe, I was amazed to watch the noodles thicken up on the stove with just the milk. I added in some seasoned salt, pepper, nutmeg, paprika, and a dash of red pepper flakes, and stirred, stirred, stirred. No butter, because I ran out (how does that happen?!) 1c of cheddar, sprinkles of parm. Waited while it thickened, and ate. And was kind of disappointed, actually. Could be that it was mild cheddar (all I had on hand) and the parm was a bit much. Funky texture and not much flavor. However, there’s a happy ending. This kind of defeats the purpose, but I decided to give it another chance by reheating it in the oven, topped with breadcrumbs, and… YUM. I’ve found my new mac and cheese recipe. Thank you! 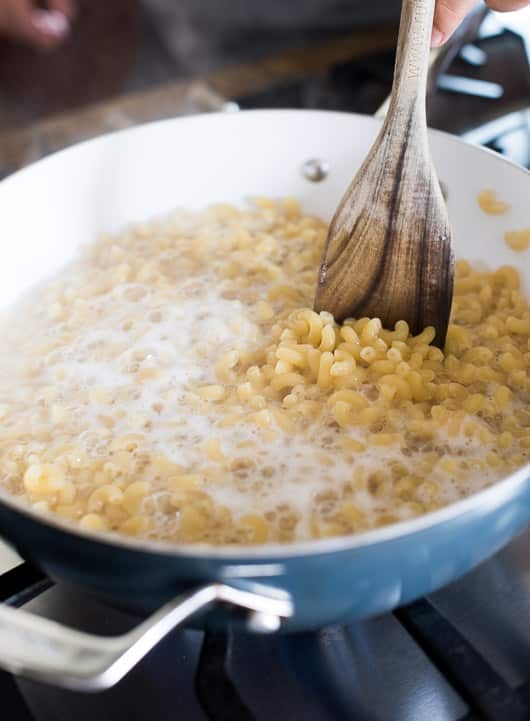 If you care about the texture of your pasta(macaroni) boil your noodles first and make a cheese sauce using a rue or evaporated milk separately. But you will need TWO POTS. This gives you much more control over the firmness of your pasta. If you like a doughy texture go for this. I found it to be gloppy and mushy. The sauce ingredients are great on their own. Add boiled pasta to it. I agree…got the same kind of result, and have tried it twice as the first time I thought it was maybe a fluke 🙁 My milk got SO thick before the pasta was even close to done…pasta never got a good texture, just got mushy and gloppy and pastey…ugh. The flavor was okay…but definitely needs more salt and some other spices too. I think I’ll stick to the boiling the noodles seperately and making a roux…that has never failed me. I agree too… I made it and with this amount of cheese, I didn’t get enough flavor…. I added more and still not enough. I think it was mainly the texture that kept throwing me off. Also, it was more stretchy than creamy…Even when I tried adding more milk. It was a bit bland and much too thick for my liking. Oh thank you, thank you! 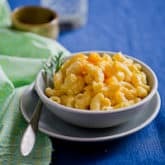 I have been searching for an easy creamy stop-top mac and cheese recipe that doesn’t have flour in it. This was awesome! I made it today. This was a brilliant method — just like making risotto, using the macaroni’s starch to thicken the liquid. Thanks for coming up with it! Mine turned out fabulous using fat free milk, just 1 T of light butter, and 2% cheese. I did wait too long before adding the cheese, I think, as it was too thick until I added a bit more milk to loosen it up. Next time I will check the pasta before the milk has completely evaporated. Thanks again! I made this last night for a Pot Luck. It was really simple. I took my time bring it to a boil (about 20 min) and stired it ever 30 seconds but I still ended up with a decent amount of burned milk/pasta on the bottom. Maybe its because we have an electric strove top and the pot is like 20 years old? Ha.The pot is soaking right now. Either way it was sooo good. I did add butter but I added Truffle butter and it was hinting itsself in the background. So good!!! I will make again and again! Correction on the Amercian Cheese. It has to be marked Pasteurized Process American Cheese. Sorry for the incorrect post earlier. Wow…now i am now starving! I love mac and cheese and have been craving it for weeks. Im going to try whole wheat pasta and ff 1/2 and 1/2 with no butter as a healthier twist….i’ll let you know how it comes out! Thanks for the great recipe! FYI, works great with gluten free rice pasta, too. Didn’t even add the butter. Incredibly rich with just 2% milk and some good organic medium cheddar. 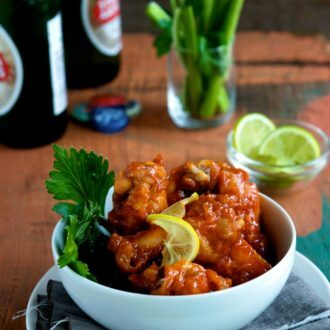 Definitely a new weeknight staple!! Thanks! Good to know! I was looking through these comments thinking if it would work with gf pasta!! Looks like a great recipe, removes the extra step that Cook’s Illustrated’s stovetop M&C requires. I found the secret to the creamiest possible Mac and Cheese. Aside from cheddar, Parmesano Reggiano & whatever other good cheese I have, I always add at least 8 oz of Kraft (or the store brand) Deli Deluxe American. It has to be the deluxe version that’s marked processed cheese food. There’s something in that cheese that gives the dish a super-smooth mouth feel. Also it melts easily and keeps the other cheeses from curdling, which is caused by overheating. Just made this last night. Super easy (no whisking and truly one pot!) and super cool bechamel/roux trick – instead of separately adding flour to a portion of milk, the starch that comes out of the pasta (that is normally drained away) thickens the milk. Another plus – no lumps! b/c no clumpy bits of flour were used. Super creamy cheesy dish w/ almost zero effort! Also, skim milk works fine (all I had). Just used 2-3 Tbs butter, instead of just the 1 Tbs. I think you mean “curdle.” As in, it makes curds, like cottage cheese. oh yum! this looks delish and love the one pot idea weather its summer or not! Definitely going to try this with gluten free macaroni pity its not even 10am I want it NOW! Keep Cooking. The Gluten Free Scallywag. WOW. I made this last night (with a combo of colby jack, goat cheese, and parm…low-fat milk, whole-wheat pasta) and it was incredible. SO CREAMY! I never knew low-fat milk and just a cup or so of cheese would result in such decadence. A true M&C revolution, just like you said. We ate it with steamed salmon and broccoli, and I made sure to save leftovers. 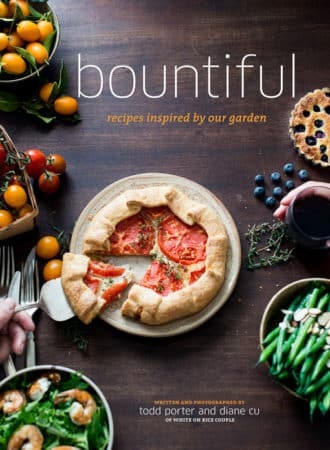 I’ll be posting some blog love for this, check out http://www.sustainablediet.blogspot.com for the post in the next day or two! I am so going to make this! This is Exactly the type of recipe I’ve been looking for this week – a real stove-top mac and cheese, not all those oven baked recipes. I never would have thought to boil the noodles in milk! This is exactly the mac & cheese recipe I’ve been looking for! Believe it or not, I don’t like baked mac & cheese. I’m weird like that. I think it’s much more creamy if done on the stove-top and I like to see the actual separation of pasta instead of one large mass. Perfect, perfect, thank you! I’m not a fan of baked mac and cheese either, I’m all about the creamy and baking it takes that, the BEST part, out. This recipe looks awesome, can’t wait to try it as well. I agree! I dislike curdled mac & cheese & always make it stove top–NEVER baked but the cooking in milk technique is new for me! Wonderful idea! Gosh you have saved me…my kitchen is already an oven, even without the oven on! Oh wow, macaroni cooked in milk. I can only imagine how deliciously creamy that is (until next week, when I stop imagining and try it for myself). Hi! I’m the laziest cook on weekdays but I cooked this last night and it was so easy! It was perfectly creamy and I used a combination of parmesan and scamorza and man…thats a whole lotta flavor! Your recipe looks wonderful! I like the toasted breadcrumbs on top. May I suggest an improvement for the crumbs? If you can get a package of panko (Japanese breadcrumbs), melt a tablespoon or so of butter in a frying pan. Spread a thin layer of crumbs in the melted butter, and stir and toast till lightly browned. Might work with regular breadcrumbs too, but I’ve never tried it. Yes, you have another pan to wash. But you also have buttered crumbs! I always do my crumbs like this even for oven-baked mac and cheese or (oh yum) tuna casserole. I’m gonna consider giving your cooking method a try. Great post! I love Mac & Cheese, and this looks absolutely AH-MAZING! Thanks for sharing!!! I think my stomach just made the biggest and loudest growl ever…This is going to be on tonight’s dinner plans! Yeah for no oven time….we are melting over here too! I love summer recipes like these. I made a grilled 3-eggplant caponata the other afternoon so that I wouldn’t have to heat up the kitchen. Can’t wait to try this one. Oh, how fantastic! 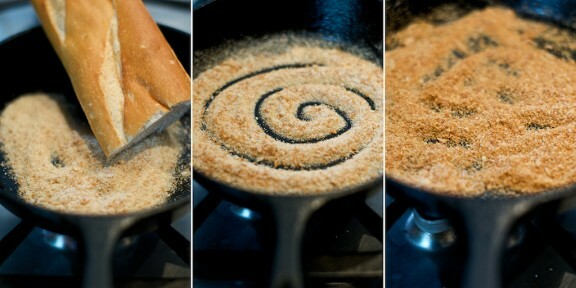 I also love the picture of the swirl in the breadcrumbs! This is great!! ONE pot!!! I will give this a try! Great pics!!! Perfect!! After weeks of rain here in the UK, the weather has finally perked up – though I suspect it won’t last…I’m kinda hoping it won’t actually so that I can make this while my macaroni cheese hating other half is out playing football, and I can curl up on the sofa with a big bowl 🙂 Cheers! Oooh I am so excited to try this! I am still searching for that perfect stove-top mac and cheese recipe but this could be the end of that search! That looks fabulous! I’m all for any recipe that doesn’t require me to turn on the oven! Actually, my mom makes her mac and cheese kind of like this. We call it “risotto-style” pasta. She does it with rice too, and uses Parmesan, Romano and Asiago cheeses. Molto delicioso! Wow! Been reading for a while but this is my first comment – want to thank you for suddenly making my favorite food a summer time possibility! I pride myself on my baked mac and cheese (I use shredded jalapeno jack cheese with cheddar to give mine an extra kick!). I will definitely give this a try this week! Wow, no draining, that’s pretty awesome 🙂 I have a feeling the mustard and toasted bread crumbs (yum) make this extra-awesome. Do you think that by using a nonstick pot and leaving the bottom to scorch for a bit after cooking then flipping it over to the serving platter will kind of recreate the brown-y-bit? Hmm, I think a little experimentation on my part is in order (though I don’t wanna wreck my pot!). beautiful photo and very good recipe!